In 2014, when Kyra Soleil-Dawe was 17-years-old, they formed a small, theater company out of West Virginia’s Eastern Panhandle in Shepherdstown – a historic, artsy, college town just miles from Maryland, Virginia, and Pennsylvania. We’re using the pronouns they, them, and their when referring to Kyra, because they identify as genderfluid or genderqueer, which are terms within the LGBTQ community. Kyra was born female, but doesn’t identify exclusively as female or male - but somewhere in the middle. It was theater that helped Kyra come to terms with questions about gender and identity. It helped with one of the darkest periods of Kyra’s life - during middle school. Kyra wants their theater company to be licensed and to be a sustainable business here in Appalachia. Kyra wants to be taken seriously, recognized for their talents, and make a profit. Part of Kyra’s struggle to stay rests on this dream. 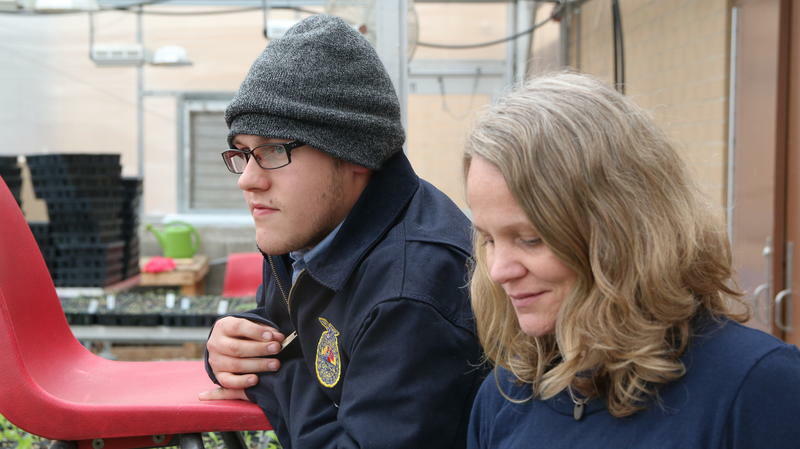 West Virginia Public Broadcasting has been following Kyra’s story for about one year. We step back to August 2016. Kyra was still 19-years-old at this time. Kyra wears a Whiskey Shine and Pantomime Productions t-shirt. Kyra sits on Shepherdstown's iconic stone “Wall” eating a burger and fries. 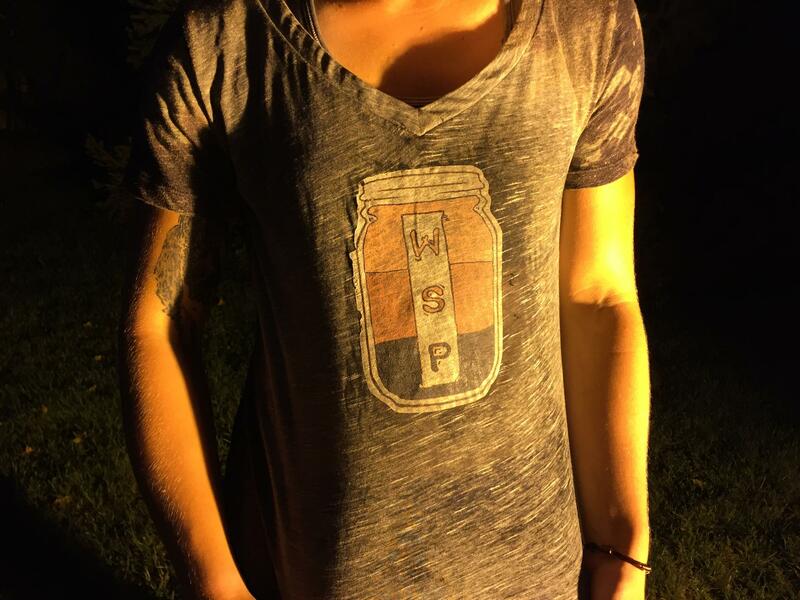 They’re sporting a t-shirt with the Whiskey Shine and Pantomime Productions logo or WSP for short - that’s the name of Kyra’s theater group. Kyra’s dream is for WSP Productions to become an official company - they’d love to own a business or a small profit theater company before turning 20 - but knows it won’t be easy. It’s about 9:00 p.m. This is Kyra’s favorite time of day. We walk from the “Wall” down to the Potomac River on the West Virginia side – it’s here where Kyra comes to think. It’s dark, except for the stars and the reflection of the moon on the water. Street lamps twinkle in the darkness from a bridge connecting West Virginia and Maryland just a few hundred feet away. Cicadas chirp loudly around us. We stand on a concrete boat ramp, just steps away from the warm water, and we’re the only ones here. Shepherdstown is Kyra’s home. Though Kyra was born in California, they moved to West Virginia at the age of six. (left to right) Ben Johnson, Kyra, and Lydia Johnson during auditions for Hamlet. Lydia is Kyra's best friend and stage manager. Just a few days after this interview, I attended the second day of auditions for Kyra’s latest production - William Shakespeare’s classic tragedy, Hamlet. Auditions were held at Kyra’s parent’s house, just a few miles from the heart of Shepherdstown. Shakespeare has actually played a large role in Kyra’s life. In fact, it was one of the playwright’s other plays, A Midsummer Night’s Dream, that was a turning point for Kyra. Kyra says this point was the most difficult time of their life. Kyra was beginning to recognize they were genderqueer and struggling with identity. Things changed for 12 year-old Kyra when they were cast as Helena in A Midsummer Night’s Dream; a character who’s an outcast and no other characters seem to love. Kyra connected with Helena to a T. And for the first time, Kyra felt in control. A few years after playing Helena in A Midsummer Night’s Dream, Kyra came out as bisexual to friends and family. And that was tough. And then during their senior year of high school, Kyra came out as genderqueer, or genderfluid. And then underneath this self-discovery was theater. 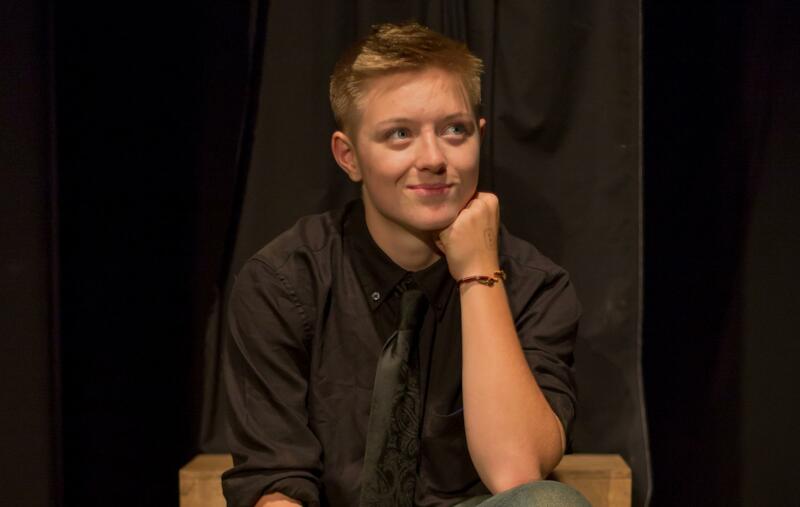 Theater helped Kyra feel more self-assured, more grounded while coming out. Back at the Hamlet auditions, Kyra’s feeling nervous but excited to get the show cast. We’re in the basement of Kyra’s parent’s house. On the patio outside, a handful of other local actors – all millennials – chat, smoke cigarettes, and wait to be called in to audition. 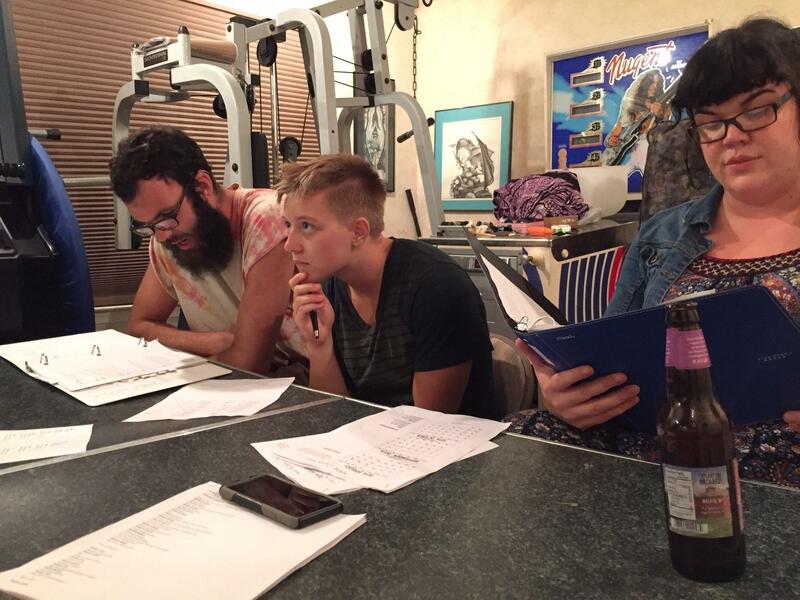 Kyra and Lydia look on as Ben auditions with local actor Koty Crawford. 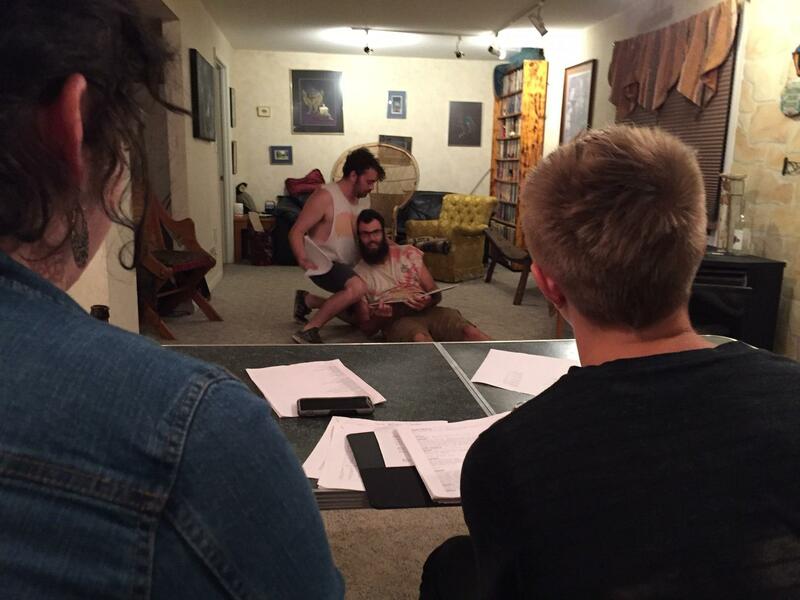 Inside, Kyra’s boyfriend Ben Johnson is reading for the part of Hamlet. Kyra gives him some pointers. “I’m really hoping that this production kind of establishes us as really credible, right? I want people to, like, I want people to realize the talent that I’ve realized in these people, and it’s really helpful to do that with, like, a big name production." Kyra on Hamlet. In just a couple of months, Kyra’s latest theater production, Hamlet, will open to the public. 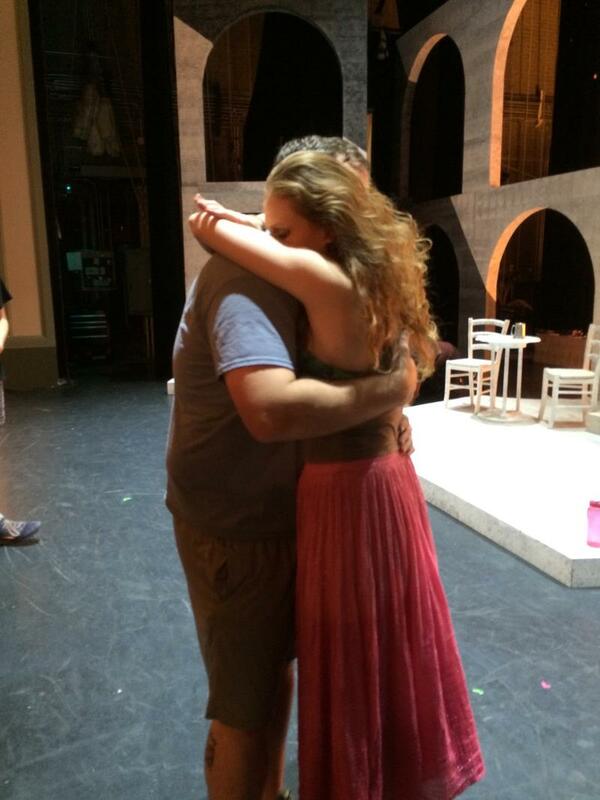 But how will Kyra handle the weight of directing such a big show? One where Kyra rests so much hope? And how welcome does Kyra feel here given their gender identity? More next time on Kyra’s Struggle to Stay. Music was provided by Marisa Anderson. 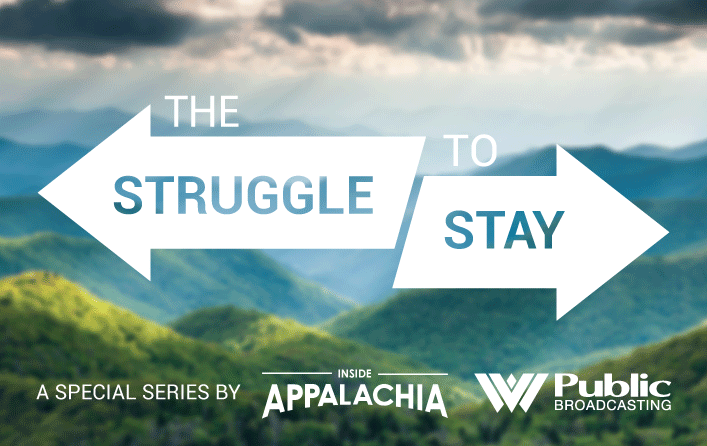 Mark Combs is among a community of West Virginians who have decided that -- despite a deep love for Appalachia -- they have no choice but to leave the region. His “Struggle to Stay” actually made staying impossible.